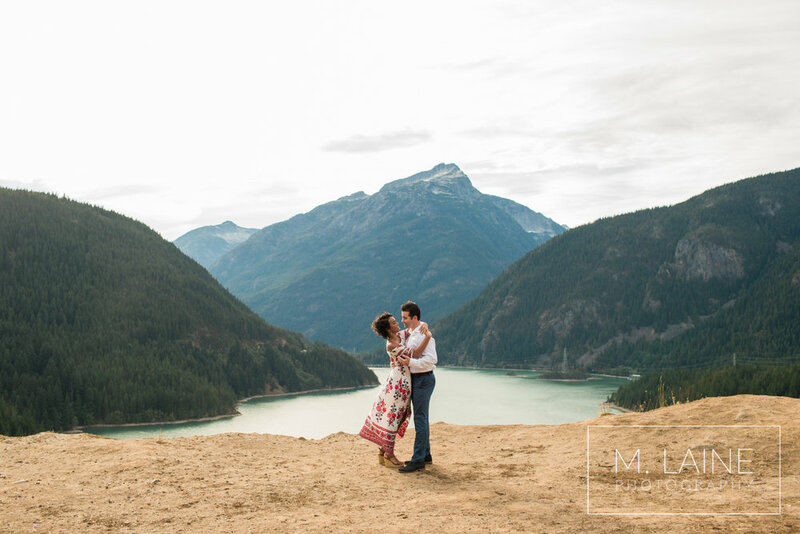 I’ve been dying to shoot in the North Cascades, ever since my first visit there, over a year ago! This turquoise lake is one of a kind and sure to stun everyone who sees it. I met Iyanna (who is a model, by the way!) online and was so happy to officially meet her and her fiancé, Michael. They were both so kind, and Michael had Iyanna laughing the whole time. They’re adorable and so chatty with each other, which was funny because they had crushes on each other for weeks before they first talked! Congratulations on your engagement Michael and Iyanna and enjoy!